Wireless Internet service is provided free of charge at all Rockingham County Public Library locations. The library owns a printer/copier machine that can be used to make color and/ or black and white copies on ledger, legal and letter size paper. The copy machine has the ability to shrink or enlarge pictures. The cost for copies and print jobs is $.25 per copy. The library provides scanning services free of charge. Documents are scanned onto a flash drive. If you don't own a flash drive the library will let you borrow one of ours and email the document to yourself. Need some help with your tablet or laptop and can't make it to one of our classes? Call the library at 336-623-3168 at set up a 15 minute one on one technology help appointment. Do you need to have an exam proctored? Contact your local library and ask about the availability of a proctor in your area. If possible please schedule your appointment at least 1 week in advance. Our library is part of a consortium of libraries called the NC Cardinal Consortium. 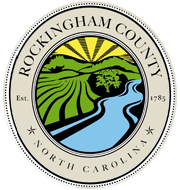 If Rockingham County Public Library does not have the material you desire you can place a hold on materials from outside of Rockingham County. Holds placed on items from outside of Rockingham County will take longer to arrive but will be shipped to our library free of charge. Computers with Internet access and Microsoft Office 2013 are available for checkout with the use of a library card. Library patrons who do not have their library card with them can ask to have their records retrieved by name if they show a picture id. Guests without a library card can be issued a 30 day temporary pass to use library computers if they show a picture id and sign the library's Computer Use Agreement. Library users now have the abililty to make three-dimensional objects in plastic using a design that is uploaded from a digital computer file. Any 3D drafting software may be used to create a design as long as the file can be saved in an .stl, .obj, or .thing, file format. Patrons wishing to use the 3D printer must have a library card in good standing. If you’d like to use the library’s 3D printer, bring your print file in a .stl, .obj, or .thing format with a completed “3D Printing Request Form”. Make sure to include all required signatures and bring the form to the Circulation desk during open hours. Staff will verify the form for accuracy and add the request to the printing queue. 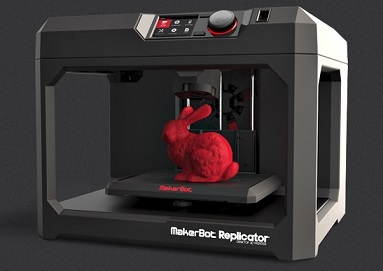 Cost: 3D printing at the Library is $1.00/hour of printing with a minimum charge of $2.00. Prints will be left as-is upon completion; finishing work (such removal of excess material) will be left to the patron. Meeting Rooms are available for free public use at Eden, Madison-Mayodan, and the Reidsville Libraries. Rooms may not be used for political or religious reasons or to make a profit. Businesses can reserve the rooms for presentations or staff training purposes. Meetings can take place before or after the library has closed if you put down a $25 deposit. The Stonesville Library has a meeting room that can be reserved for 4 hours use if you put down a $100 deposit and pay a $30 fee. Faxing Services are available for a fee. If you would like to have documents faxed to the Eden Library have the documents faxed to 336-623-1171. You will be charged $.25 for each page the library receives. Faxes can also be sent to other locations. There is a $.25 charge for each page sent to a toll free number or to fax number for a Rockingham County location. 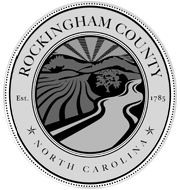 There is a $1 charge for each page sent to a fax number for a location outside of Rockingham County.